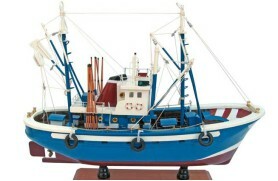 Trawler. 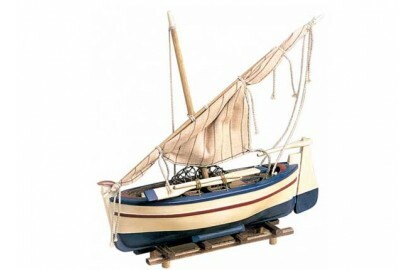 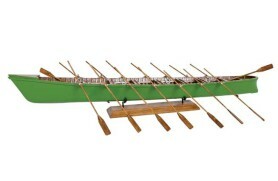 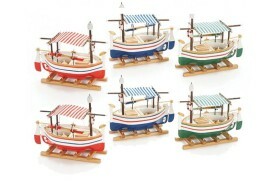 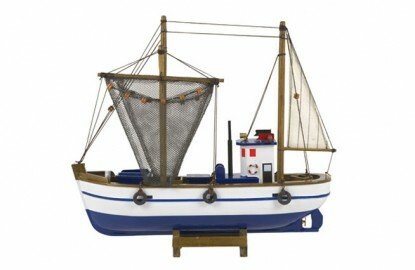 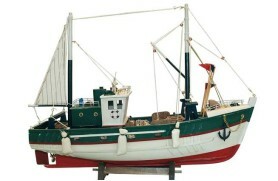 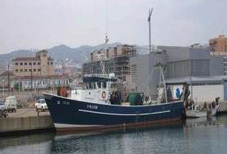 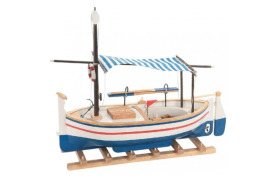 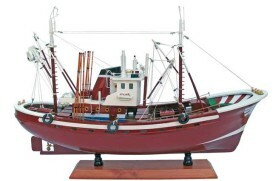 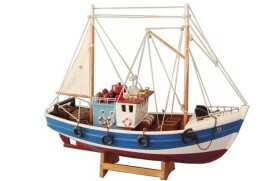 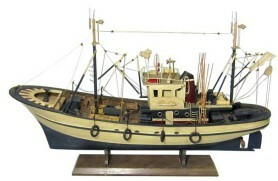 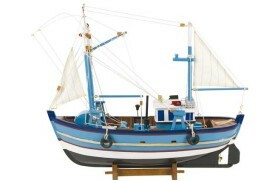 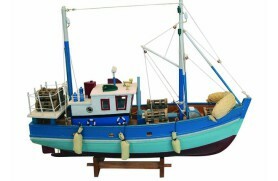 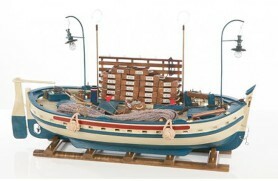 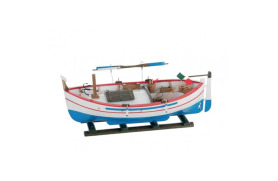 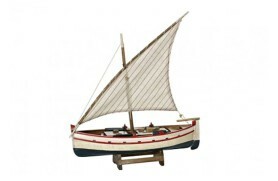 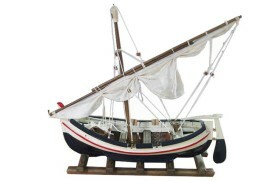 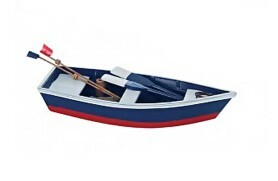 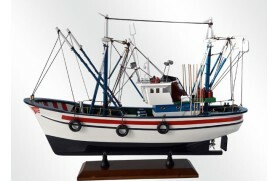 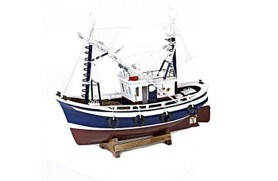 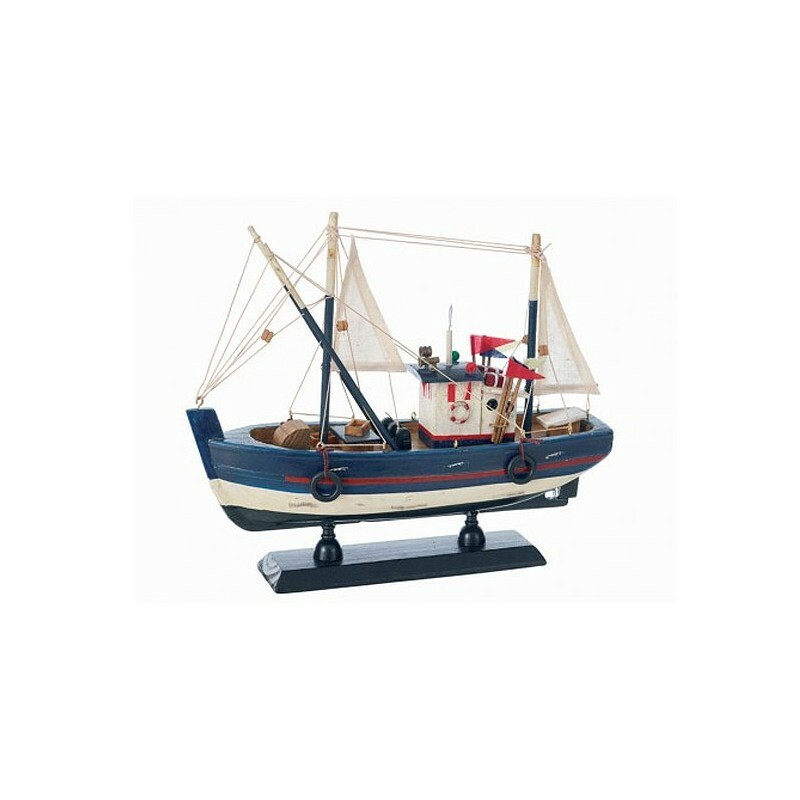 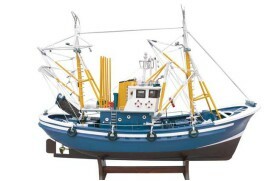 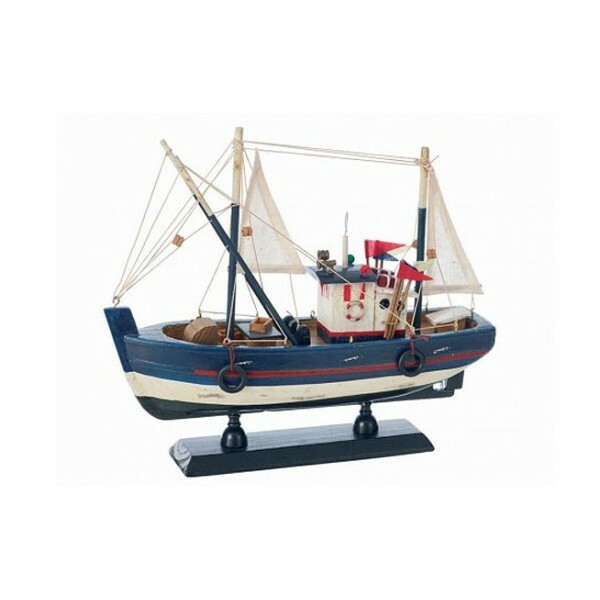 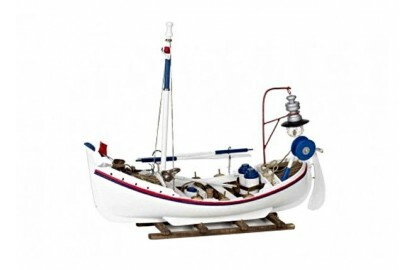 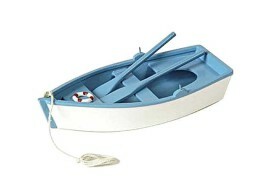 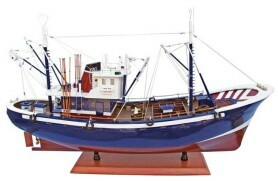 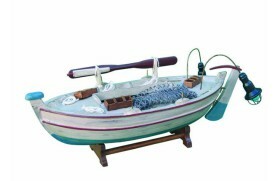 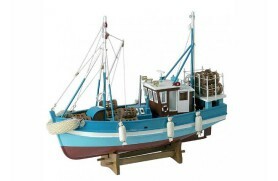 This fishing boat is typical of the Mediterranean and uses a bag-shaped drag net, pulled at speed, to catch fish, seafood and other marine animals. 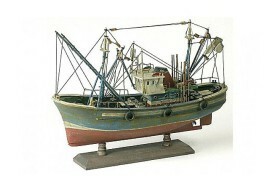 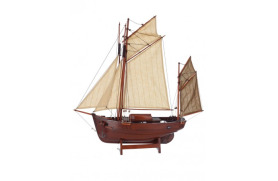 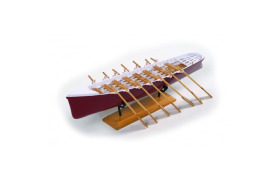 Handcrafted reproduction in wood.